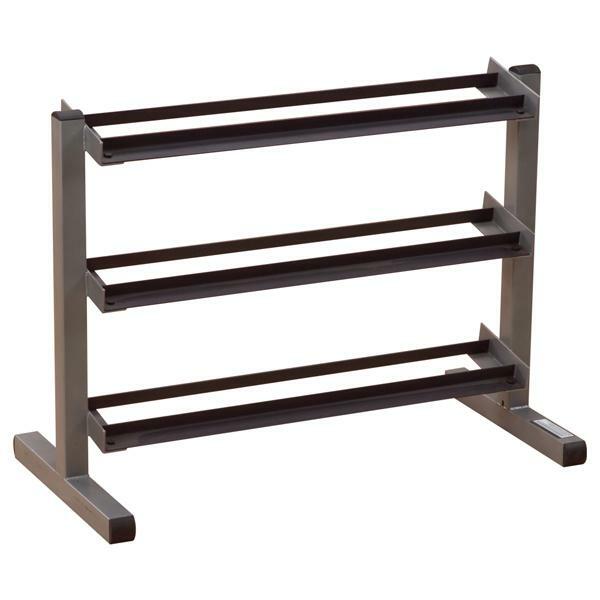 Don't trip over dumbbells - keep them organized on this Body-Solid 3-Tier Dumbbell Rack GDR363-3. The Body-Solid 3-Tier Dumbbell Rack GDR363-3 has durable heavy-gauge steel with all-sides welded construction deburred inside and outside for safety. The Body-Solid 3-Tier Dumbbell Rack GDR363-3 3 tiers can hold 1 pair each of 5 to 50 lb dumbbells. The dumbbell rack is sized to fit up against walls or take center stage in exercise rooms. Designed for today's workouts Body-Solid machines feature innovative technology and distinctive styling that suits your home. Body-Solid equipment meets the challenges of today's busy lifestyle while providing you with the utmost in advanced home exercise. From space-saving designs that suit any room to full-sized gym systems with every available station Body-Solid gives you the features you want at a price you can afford. All components of all machines are covered by a lifetime manufacturer's warranty; something you won't find from any other manufacturer in the industry. 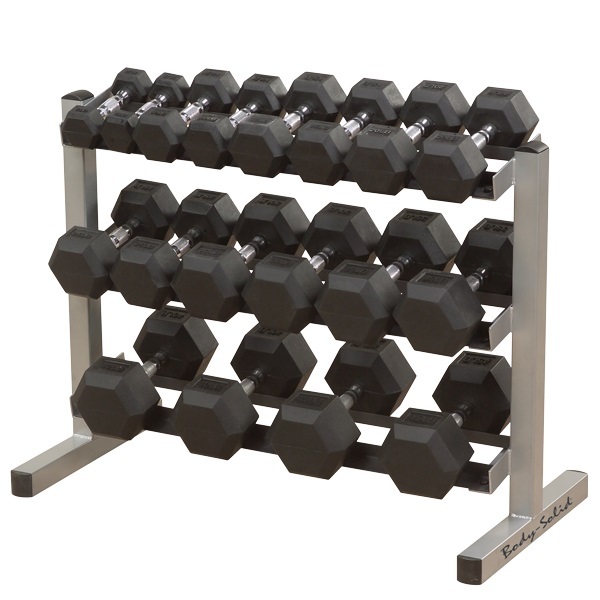 Dimensions: 30"H x 20"L x 40"W.
Order your Body Solid 3-Tier Dumbbell Rack GDR363-3 from FitnessZone.com today!